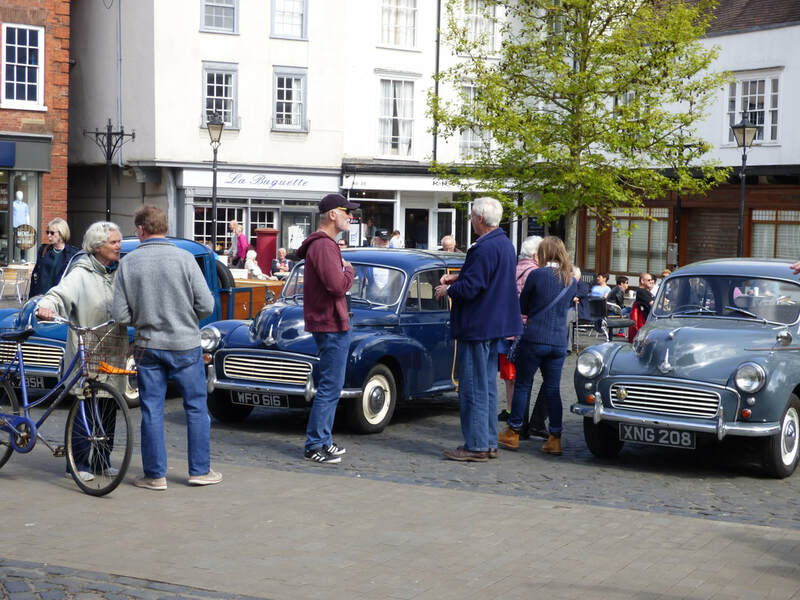 ​A total of 14 vehicles turned out for the meet in Abingdon Market Place, including 2 guest cars. The splendid array of Minors attracted a great deal of attention from the public who arrived in good numbers to admire, ask questions, smile a lot and remember when "I used to have one of those". We were blessed with fine weather and the coffee shops around the Square did a good trade whilst people contemplated. For some of us there were excellent and unusual views from the roof of the County Hall Museum. A dozen vehicles took part in the early afternoon run and we passed through or touched a total of 15 villages around The Vale of White Horse. The end of our 42 mile route gave a scenic swoosh along the edge of the Berkshire Downs as we headed back to Wantage. We finished at Millets Farm Centre where we were able to park up together before taking 'Tea', having a stroll around and eventually heading homewards. A few members travelled to Gaydon in Warwickshire to attend this event in hot sunshine and see the great variety of BMC and Leyland vehicles including this eye catching early Mini. Frank McDonagh's Romain Green lowlight won third prize in its class. The customised van pictured had come all the way from Australia for a European tour! Saturday 29th July 2017 July Jaunt. ​The Oxon&Berks MMOC ‘July Jaunt’ held on Saturday 29 July 2017 was a short morning run of just 8 miles. Starting at Chieveley Recreational Ground just nine of our cars and over twenty members and families enjoyed a drive through Hermitage and Eling estate woodland, with a photo stop at Grimsbury Castle, finishing at The Cottage Inn in Upper Bucklebury where lunch was available. 12 noon and 2 pm at 'The Cottage' for other Classic Cars in the area. 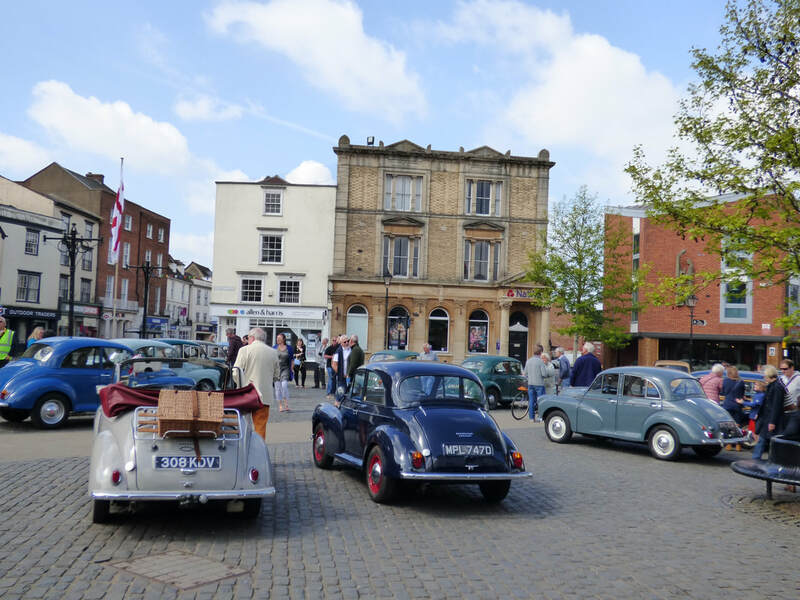 We enjoyed looking at the variety of other Classic Cars and speaking with their owners. Members attended this favourite local show at its new venue Cutteslowe Park in Oxford. 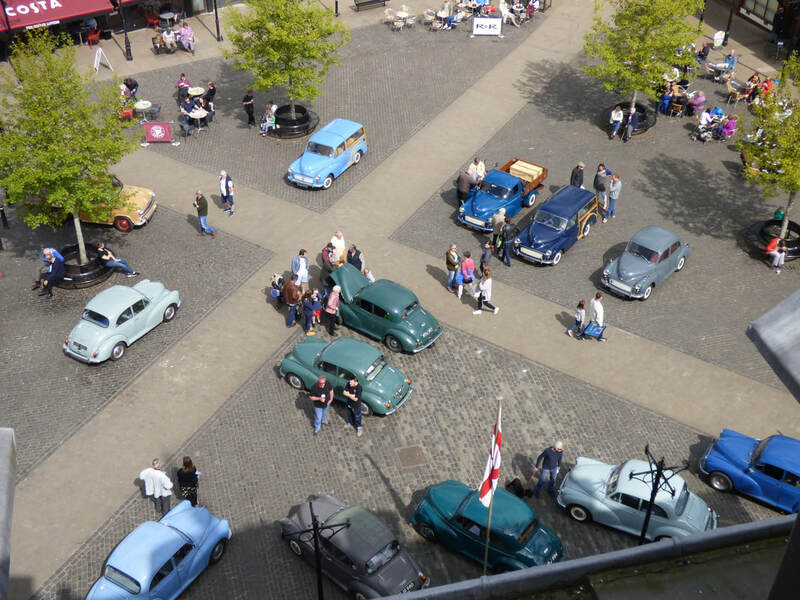 We were greeted by a wide variety of classic cars and fine August weather to make a very memorable day. Robin's 1967 saloon on the road again after 2 years. Richard and Pauline's 1958 convertible. Tony's Minor 1000 and Paul's MM convertible. ​In all we were 14 Minors for the Museum visit with 2 additional visitors in their modern cars. We were joined by visitors from Buckinghamshire Branch and North Wiltshire Branch. It was a lovely sunny day and enjoyed by everyone. Several members had rides on the vintage buses.